If you have a disability or need help, please call us in advance or fill out the application form below and fax or e-mail us. We will arrange a dedicated staff from the time of visit to the time of return. 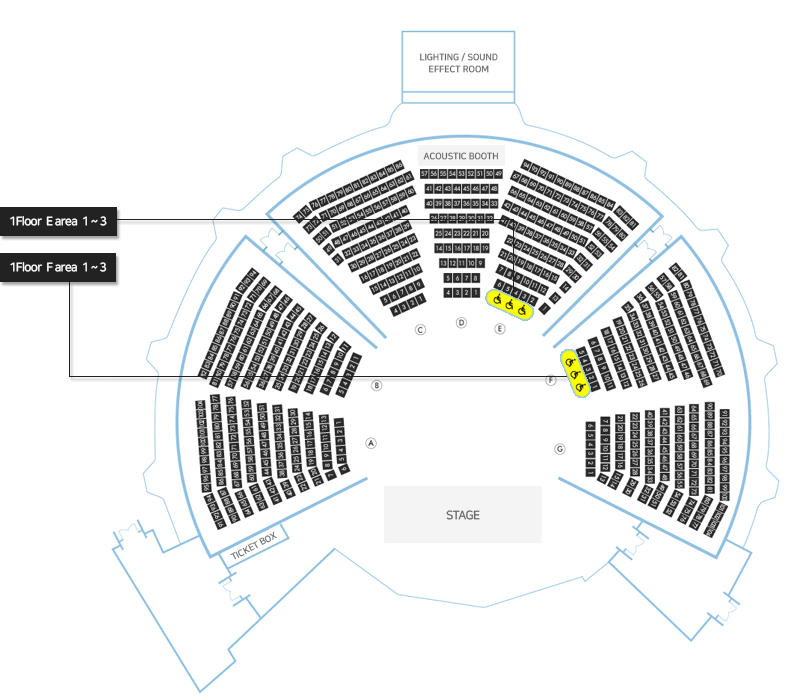 Located on the first floor, 6 of the 512 seats total, located in the middle rear. 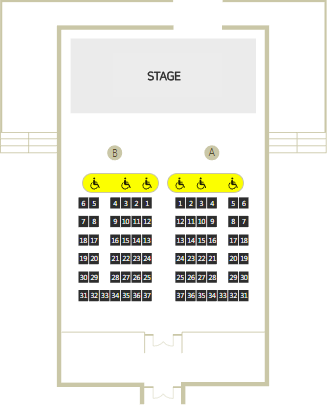 Located on the ground floor, 6 of the 74 seats are located on the front. 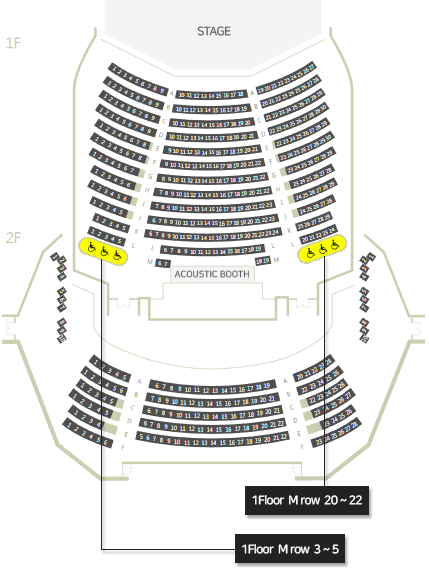 Located on the ground floor, 6 of the 621 seats are located on the front.